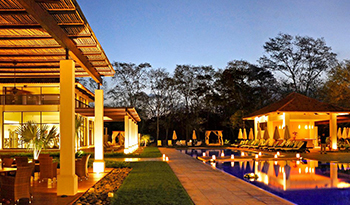 Reserva Conchal, located on Playa Conchal offers Sophisticated Living on Costa Rica's Gold Coast. This gated community is a Golfer's paradise, 18 Hole Golf Course designed by Robert Trent Jones II. Playa Conchal, located near the Westin’s impressive beach resort Reserva Conchal, has been identified time and time again as one of Costa Rica's most beautiful beaches. In addition to beautiful white sand, visitors walk on millions of ground up sea shells, which creates a beautiful carpet of colors and shapes beneath your feet. Stunning aquamarine water, plentiful snorkeling opportunities, tropical palm trees all along the beach, and the frequently visiting howler monkeys make Playa Conchal an unforgettable experience. 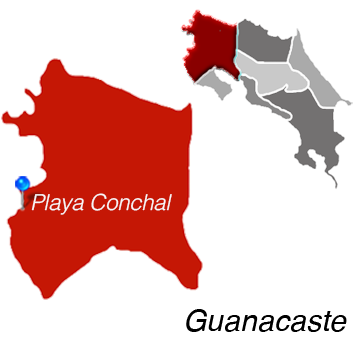 Playa Conchal real estate is highly desirable among smart investors and those looking for a peaceful, oceanfront retirement in Costa Rica. Many choose to invest in the private villas and condos located in the Westin’s Reserva Conchal, an expansive 2,300-acre gated community which continues to grow. With ocean views, luxury amenities, and impeccable service wherever you turn, life is good in Playa Conchal. Upscale gated communities, private clubs, and an always relaxed atmosphere ensure you won't regret investing in Costa Rica. Beachfront Homes in Reserva Conchal, Ocean View Homes in Reserva Conchal, Ocean View Condos in Reserva Conchal Walk-to-beach Homes in Reserva Conchal, Walk to Beach Villas in Reserva Conchal, Walk to beach Condos in Reserva Conchal, Ocean View Lots in Reserva Conchal, Beachfront Hotels in Reserva Conchal, Other properties for sale in Reserva Conchal and Properties for Sale in Guancaste, Costa Rica.